Amazon.co.uk Price: 15,12 £ (as of 06/02/2019 19:34 PST- Details)	& FREE Shipping. The ergonomic shape guarantees a quick release of the rope when belaying a lead climber as well as a fast blocking of the rope in case of a fall when used correctly. 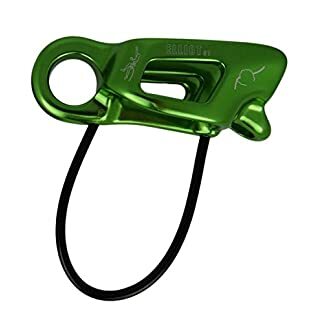 This belay device is suitable for ropes with a diameter of up to 11 mm and is used when belaying a lead or top-rope climber as well as abseiling. A perfect guarantee for belaying, especially suitable for Munter hitch – the HMS carabiner – a favourite in our product range. It is the perfect connector with key lock system. 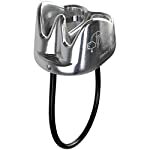 This means that the locking is connected more easily in hook eyes than a classic nose. 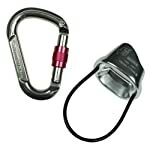 It can be used for fall protection systems, rescue systems and climbing. 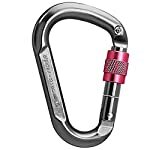 This carabiner is absolutely versatile. A gate opening of 25 mm and high breaking load values make our gadget to an essential companion. Amazon.co.uk Price: 19,32 £ (as of 06/02/2019 19:35 PST- Details)	& FREE Shipping. 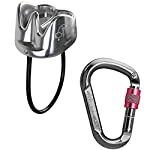 You're viewing: ALPIDEX Climbing-Set: Belay device silver rope diameter up to 11 mm + HMS Carabiner Amazon.co.uk Price: 15,12 £ (as of 06/02/2019 19:34 PST- Details)	& FREE Shipping.